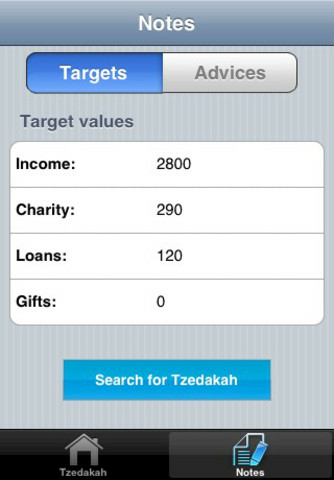 This application will tell you EXACTLY how much you have to give for Tzedakah based on your income. Charity giving is a great deed that no one is exempt of. During these though times especially, many people are depending on generous contributions. However, everyone is being very careful on where they allocate their money. That is why this application is the perfect solution so that you can manage where and how much of your money you are giving to help others out. 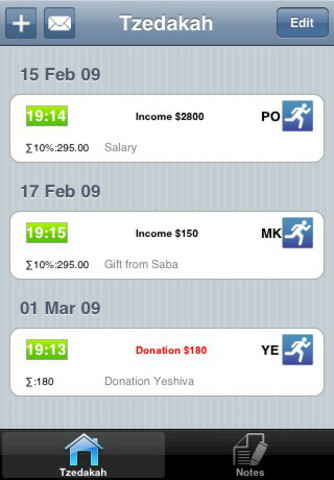 This application is the perfect solution to manage your tzedakah giving. It is all based on your income, and can vary depending on how much you make every month. It accumulated how much you have made, and depending on that how much you should be giving (Based on a 10% assumption). -When it was given. The specific date and time can be entered; perfect for personal records and future accounting. -Amount you contributed. This amount automatically accumulates so that you can always check how much you have accrued so far, and how much more you have to go. -Notes. In this section you can annotate anything from a reminder that a receipt is pending to a contact information for future donations. 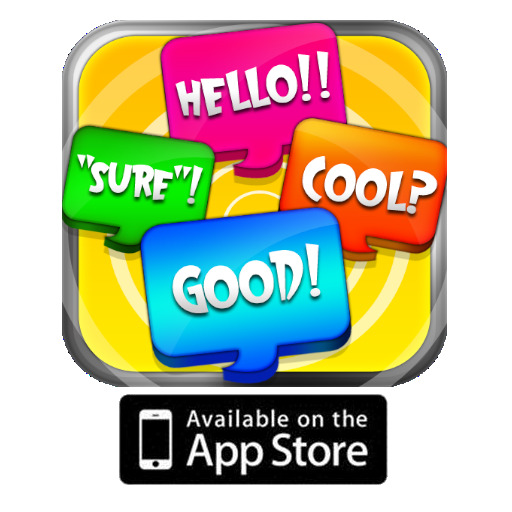 Furthermore, this application is so complete that it includes a target component where you can write how much you would like to earn and donate. Also in this part you can annotate any loans you have pending as well as gifts. 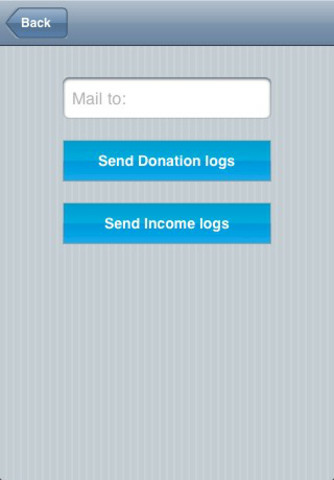 To make it even more convenient, we added a feature to send an email regarding income or donations to whomever you may need; this may include you accountant, rabbi or even yourself. Halacha regarding charity giving can sometimes be very complex and hard to interpret. 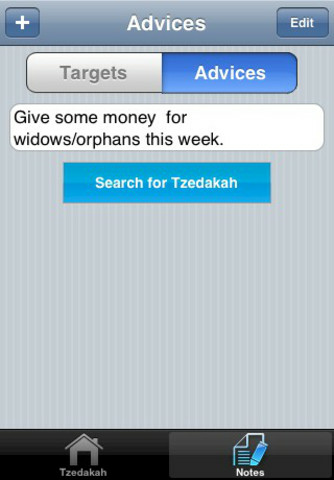 That is why we added a quick link to tzedakah websites where you can be given answers to specific questions. Keywords: Torah, Israel, Talmud, Siddur, Hebrew, mikvah and Jewish.